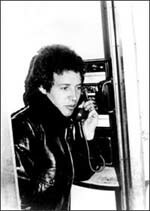 Tommy Tutone is a rock band from San Francisco, California, best known for its 1982 hit "867-5309/Jenny", which peaked at #4 on the Billboard pop charts. The song became so popular that people in the United States to this day dial this telephone number and ask for "Jenny" as a prank. 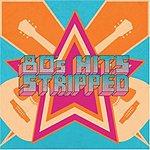 Although they are frequently remembered as a "one-hit wonder", they actually had another top 40 hit on the Billboard Hot 100 with "Angel Say No" in 1980, predating "Jenny" by a couple of years. A common misconception is that Tommy Tutone is the name of the lead singer; it is the name of the band. The lead singer's name is Tommy Heath. 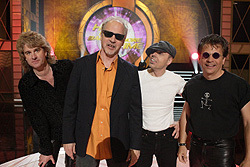 The name of the band developed from the original name "Tommy and the Tu-tones" to merely Tommy Tutone. Tommy Heath and Jim Keller founded the band in the late 1970s, with Heath acting as the lead vocalist, also playing keyboards; Keller playing lead guitar and supporting vocals. Bassist Jon Lyons was later replaced by Greg Sutton and drummer Victor Carberry with Jerry Angel. Steve LeGassick joined later, playing keyboards and synthesizer. Does it have a project name yet? ”I’ve always got project titles floating around, but the one I have today is ‘Hi-Q’ … but I don’t know what it means,” he laughs.